Russ Vernon is a football fan based in Rotherham who follows Leeds United and his home-town club. Here, he gives his verdict on the Millers’ new signing, former Elland Road favourite Aidy White. “Rotherham United have signed a great player in Aidy White. “During his time at Elland Road Aidy was a good player but his injury, picked up in a pre-season friendly against Chesterfield, didn’t help him last year. “I think Aidy has got a huge potential to be a top player in the future. He plays at left-back or as a left midfielder. “The best goal he scored for Leeds, for me, was against Everton in the Capital One Cup in 2012 at Elland Road in a game Leeds won 2-1. “He picked up the loose ball in the centre of the park and went past Marouane Fellaini and Sylvain Distin before slotting into the top corner to give us the lead. “I feel Aidy will be a good addition to the squad at Rotherham. He likes to get forward and create chances for his teammates and will play well with the ball at his feet. He was a great servant to Leeds. 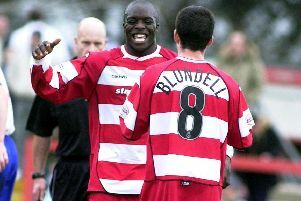 I think he will always give 100 per cent when playing for the Millers and will not disappoint the fans.